Will Mohamed Salah end his scoring drought for Liverpool? Will Maurizio Sarri stick or twist? How do Brighton stop Manchester City? Former Everton and Millwall midfielder Tim Cahill will join the Renault Super Sunday panel on Sky Sports this weekend with another bumper round of football. West Ham have opened their new £4m academy facility at their training ground in Chadwell Heath. Ahead of an important midweek of Premier League action, Sky Sports pundit Paul Merson gives his verdict on all fives games. Leicester's Jamie Vardy has topped the latest Power Rankings, with three team-mates joining the striker in this week's top 10. Watch all the goals from the weekend's Premier League action, as Arsenal climbed above Tottenham with a win against Newcastle. Ref Watch: Were Warnock gripes fair? Former Premier League referee Dermot Gallagher gives us his verdict from the weekend's games. Posted in SkySports NewsComments Off on Ref Watch: Were Warnock gripes fair? Watch all the goals from the weekend's Premier League action, as Liverpool and Chelsea snatched dramatic wins on Sunday. Posted on 31 March 2019. Watch all the goals from the weekend's Premier League action, as Man City reclaimed top spot and Huddersfield were relegated. Marco Silva was left rejoicing after Everton produced a near-perfect performance in their commanding 2-0 victory over West Ham. Manuel Pellegrini described West Ham's defeat to Everton as the worst he's presided over during his time at the club. Posted on 30 March 2019. Manchester City moved above Liverpool at the top of the Premier League with a comfortable 2-0 win over Fulham at Craven Cottage. Premier League clubs across the country united behind the No Room for Racism campaign on Saturday, with the aim of eradicating discriminatory behaviour in football. Everton boosted their European qualification hopes with a dominant 2-0 victory against a lacklustre West Ham at the London Stadium. West Ham vs Everton LIVE! Posted in SkySports NewsComments Off on West Ham vs Everton LIVE! The Premier League has launched the No Room for Racism campaign as part of its commitment to help tackling discrimination in football. 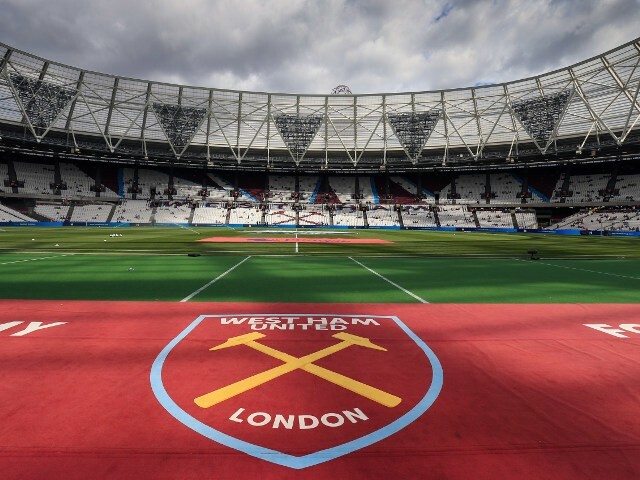 West Ham are finally feeling at home at the London Stadium, according to manager Manuel Pellegrini. West Ham midfielder Samir Nasri is a doubt for Saturday's Premier League match against Everton at the London Stadium. Manuel Pellegrini says every West Ham player has their price, but claims a deal will only be agreed if it is “good for the club”. Check back here for all the latest dates on your Premier League club's pre-season schedule ahead of the 2019/20 season. The ePremier League Finals get underway on Sky Sports this Thursday. Here's all you need to know ahead of the showpiece event. Posted on 26 March 2019. Manchester City will play West Ham, Newcastle and Wolves in this summer's Premier League Asia Trophy in China.